I appreciate why 20% of Americans drink only bottled water. Tap water has no beginning or end; it's so unruly. Bottled water comes in a clearly defined container. Tap water is generic; it's just water. 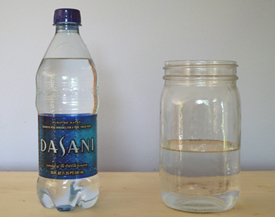 Dasani. I'm not sure what it means, but it sounds exotic.